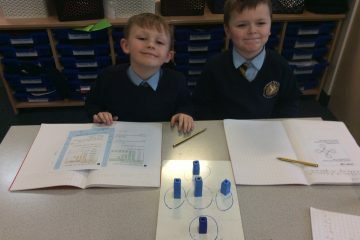 As part of our Super Scientists topic Class 5 have been investigating light. 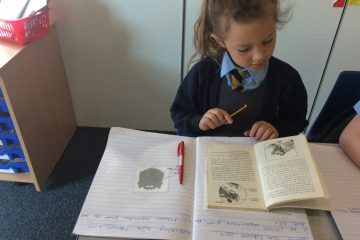 We learned about Issac Newton and the discovery he made about light. 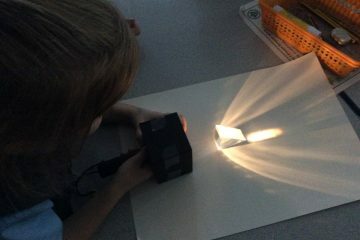 We used torches and prisms to explore how we can see the different colours of light as a rainbow. 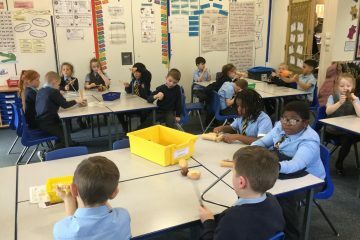 Today we explored the pulse and improvisation using a range of instruments, as well as singing. Today we have been playing the glockenspiel and singing in rounds to Pharrell – Happy. 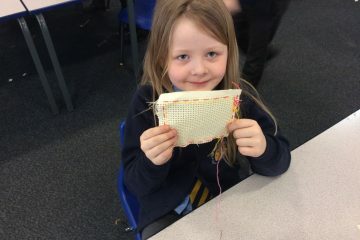 In our design and technology lessons, Class 5 have been making puppets. 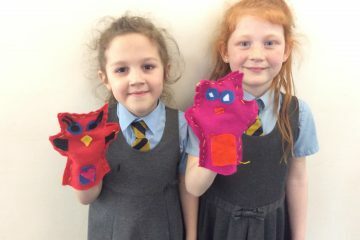 We made an owl puppet to link with our text in English. 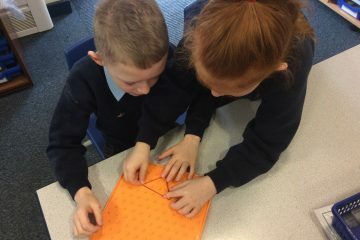 We used many skills such as designing, cutting, sewing and evaluating. Our completed puppets have been proudly displayed for all to enjoy! 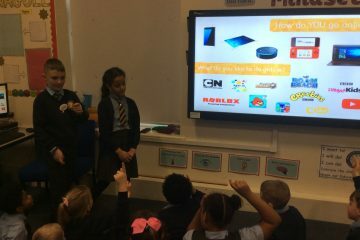 How can we find out about the past? 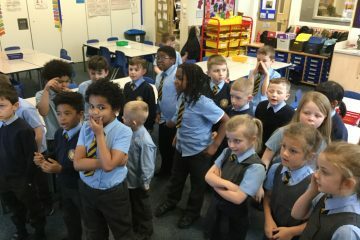 Today as part of our man on the moon learning journey, Class 5 have been thinking about how we can find out about the past. 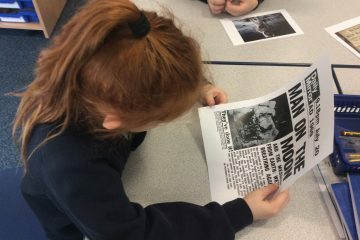 We looked at different historical sources from the time and discussed how they can help us to find out about this special event.